Kanye West: No one man should have all that power — United States Studies Centre the stakes in the saga in no lesser terms than “the war for Kanye’s political soul”. But why should Kanye and his politics matter to us? Perhaps it is that President Trump’s rise to power has impressed on us, as it has Kanye, the untapped potential of rogue celebrity. 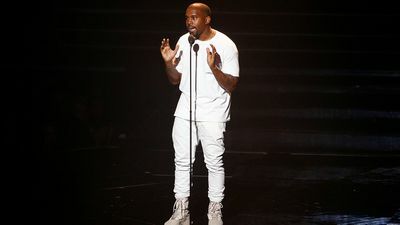 Kanye is fully cognisant of the way he has become a lightning rod for controversy – a phenomenon he attributes somewhat reluctantly to the veiled racism of the mainstream media. “If it’s a white publication and they use the word rapper, they’re not saying that in a complimentary way.” The same impulse that drove Kanye in 2005 to claim that “George Bush doesn’t care about black people” is what drives his support not for Trump but for the idea that Trump can happen. Kanye doesn’t think white people aren’t racist anymore, but he does think black America has won the right to an identity not defined by it. His desire for a black child to see Michael Jordan rather than Harriet Tubman on their currency is the desire to imbue his people with confidence, a desire to be released from the control of history. To Kanye, the old guard of politics represent control – capitulation to a cynicism that came with experience and knowledge of the system. “I’ve been waiting for this moment,” Kanye remarks of the improbable Trump victory. In the wake of a personal battle with mental health and addiction issues – he became addicted to the opioids he was prescribed to treat his mental health problems – a world in which he, and everyone else, is less controlled sounds a lot like freedom. It was not Barack Obama but Donald Trump who made Kanye think he – an “outsider” – could be president. What is significant about Kanye’s recent flurry of tweets and soundbites is how they manifest his fervent belief in the power of celebrity. This is not the power traditionally brandished by the rapper as kingpin or outlaw – the fabled ‘badman’ of African diasporic folklore. Nor is it the power we routinely associate with celebrity – the influence and status that comes with being popular, in the sense of being well-liked. Trump’s ascent to the most powerful office in the world demonstrates the arguably unprecedented power of celebrity in the social media age. This is why, as Kanye tweeted last week, it was not Obama but Trump who made Kanye think he – an “outsider” – could be president. “A black man can’t be imperfect in the public eye,” Kanye argues, “and that’s a form of control.” An imperfect black president – someone more like Trump than Obama – would prove that America was capable of overcoming race. Kanye, who uses Twitter as a stream of consciousness (and surely recognises an unfiltered ally in the Twitter activity of the POTUS) is, in his words, “fighting the simulation”. For a black celebrity in America to speak without filter is, he argues, nothing short of courageous. At one point in their recent lengthy interview, radio host Charlamagne tha God responds to one of Kanye’s statements with awe. “That was a bar!” he claims, a gesture of respect towards a much-celebrated, if oft-confounding, rapper. “Yeah…that was a tweet!” Kanye replies, cementing his focus, at least for now, in the radical communicative potential not of rap, but of Twitter.